We bowl with the gutter gaurds up. 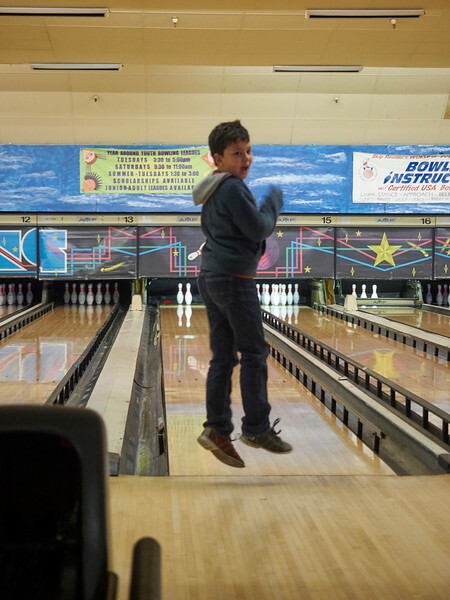 At times the bowling ball is bouncing back and forth several times before hitting the pins. Are we bowling or playing pinball?! And it's always suprising when Claire throws the ball so slow that a crawling toddler would win the race, yet with hardly any movement, the ball manages to know nearly every pin to the floor. We had fun. 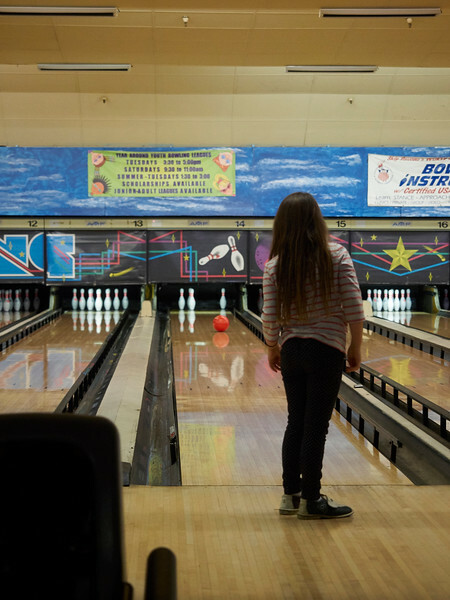 I definitely recommend going to an old school bowling alley without any screens to distract. I can't stand the new places with darkened lighting, glowing pins, and screens across the wall. I feel as if I'm seeing double as I try to focus on the pins.